Robert Dawson has an amazing talent for capturing the spirit of the American West and it most iconic figure, the cowboy. 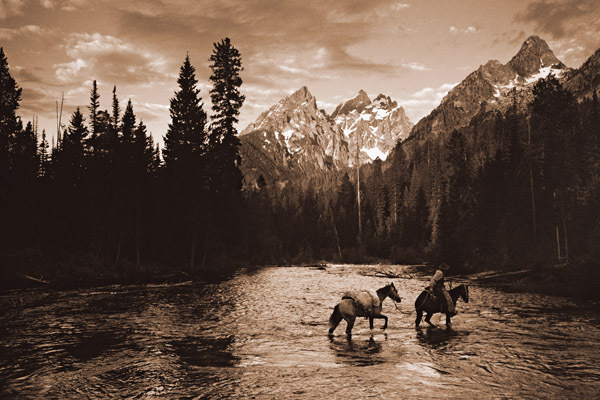 This cowhand and his pack horse are meeting one of their many challenges as they slowly cross the river. With majestic mountains in the background, we almost feel the cold from the snow-fed water.